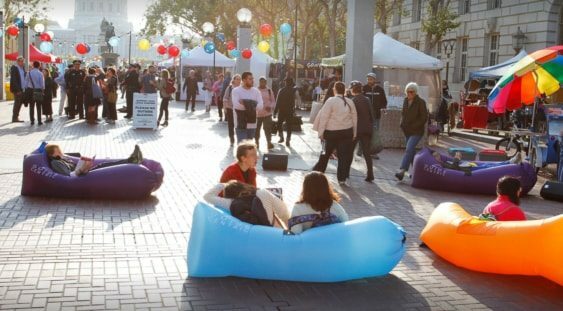 Join first Sundays of the month for a block party in Civic Center Commons. This family-friendly event will feature recreational activities for all ages, brunchy food and drinks from Off the Grid, a DJ, an open-air bazaar with one-of-a-kind goods created by local SF Etsy artisans, and free DIY craft activities. Spend your Sunday in the Commons: grab your groceries at the nearby Heart of the City Farmers’ Market, play on the new playgrounds, check out the Asian Art Museum’s free first Sundays and outdoor events, and join in for brunch and games. The July 1st Block Party will kick-off the series with a special performance by San Francisco’s own Circus Bella at 11:30 am, an interactive exhibit by the designers from NONAPS, free block printing workshops by Jenny Lemons, and more.